I’m trying really hard to get Nina Dobrev done. She’s driving me mental though. I am redoing her face shape, trying to get rid of the shadowing under the chin. I think it may be impossible though. If it is, I will just upload the best I can do. I will also upload the wip version of her that several of you inquired about – since she’s been altered quite a bit. Hopefully I will have an update for you soon. 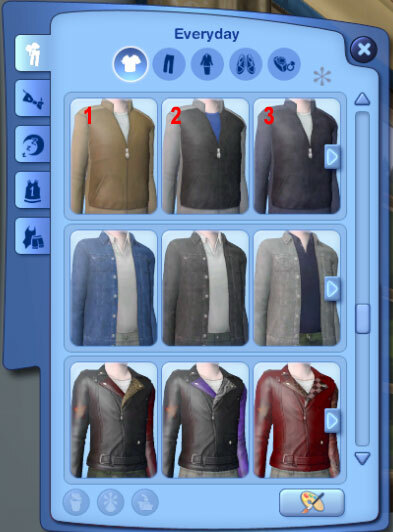 Still trying to work out how you put different variations of your clothing in the same CAS bar. If anyone knows can you please help? I want to upload my latest lingerie but I want to know if it’s possible to put them all in the same slot since they are all the same piece of clothing, just with different textures – or is it only for recolouring variations?